I think it would be fitting and appropriate to begin today’s blog by wishing all of you fathers out there a Happy Father’s Day. For those of you who live abroad (that would be overseas, not as a woman) I should explain that today is the day when American children honor their dads by giving them the most useless gifts they can find. These gifts usually include, but are not limited to, horrible ties, boxer shorts, heavy metal or rap music, and the always welcomed photo of your children looking like they have just posted bail. Speaking of the Portuguese….. Last night was my sixth birthday celebration, this one hosted by the Princess of Portugal and her hubby, Baron Lee. (We do at least six parties to make sure we get things right!) We were all delightfully surprised to encounter Countess Connie at the event. Even more surprised to sample her world-famous rice pudding. It was nearly the perfect dessert. (Mine had a tad too much cinnamon.) There were other guests, but to be perfectly frank, or Steve, they were just assorted riff raff from Steiner Ranch. Nice people, but a little boring. In case you’re wondering, my latest masterpiece, THE SECOND MOURNING, is quickly climbing up the charts. Unfortunately, the record charts, which is a bit puzzling, but still pretty cool. By the way, my second mystery, THE PIRATE PATH, which is dedicated to my father, has just been re-issued due to popular demand. Talk about good timing! In all seriousness, this was a lovely father’s day surprise for me. You know, I don’t know if I ever mentioned this, but my dad always hoped that his first son was a boy. Which reminds me, do you know that my birthday is the same day as when I was born? Amazing coincidence. Speaking of giving birth….. I’d like to send my love and best wishes to Laura Talbott and Kellie Hogan, two charming ladies who will soon have a special delivery to share with the world. (Laura is using FedEx, Kellie is going with UPS) Our thoughts and prayers are with you, ladies, so hang in there! Hey, I have a question about the birth process….. Does it take 18 months for TWINS to be born? Just curious. Well, dear friends, I must leave you now. I am watching the 2014 Brazil World Cup Soccer Tournament. Unfortunately, the dumb announcer has not said which country is hosting the event, but it looks to be a South American venue. Then again, it might be Arkansas. P.S. 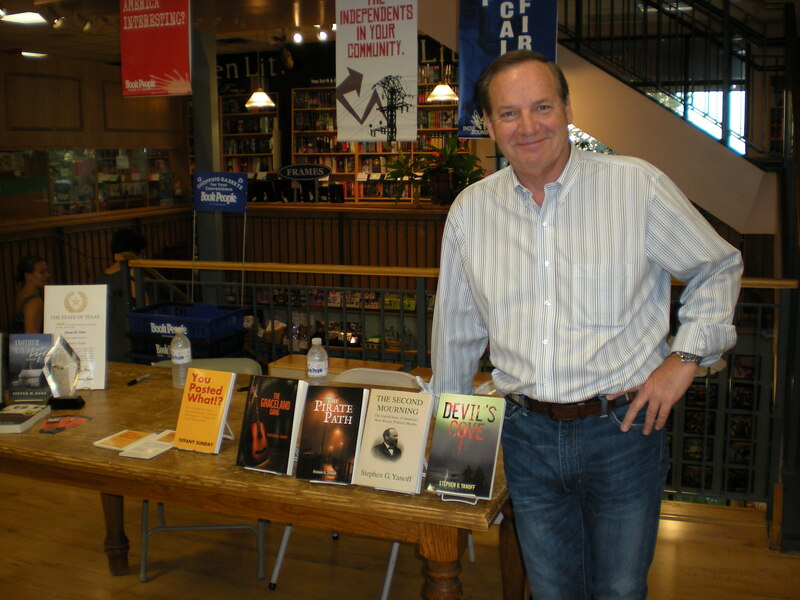 As a super special Father’s Day treat, I am attaching a rare photograph from last week’s book signing in Austin, Texas. 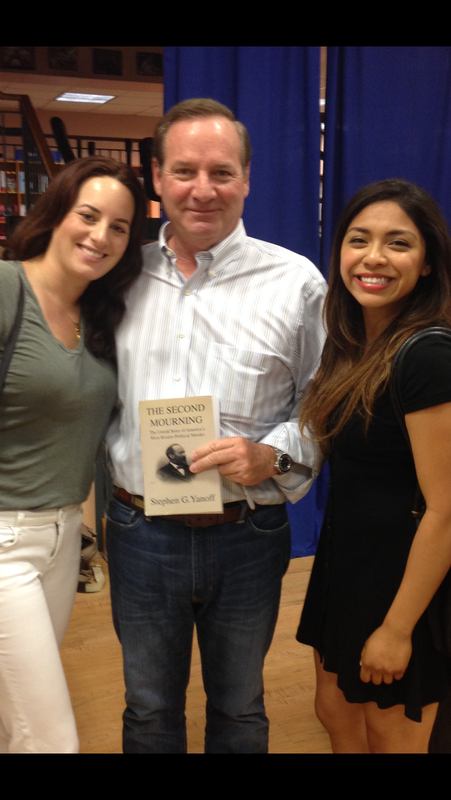 We were astonished to discover that Robert Stroud’s children (Stroud was the “Birdman of Alcatraz) attended the event and allowed us to take a picture of them. 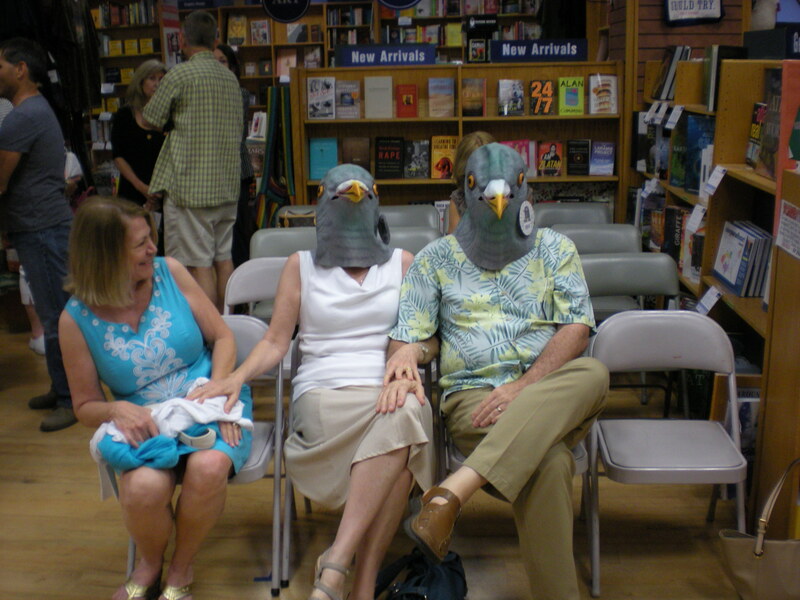 (They were “perched” in the front row.) For contrast, I have included a photograph of some normal human beings. ← A NIGHT TO REMEMBER!